As students, faculty, and staff enter Chapman University, they quickly learn how central the University’s mission of global citizenship really is. They also realize that global citizenship begins at home in Orange County. In fact, students alone contribute approximately 100,000 hours of service each year through in-classroom and out-of-classroom experiences. Please click the tabs below to see a few examples of how Chapman is helping to support the positive world of tomorrow. Chapman University is committed to making higher education accessible for all through various mentoring programs and partnerships with local schools and non-profit organizations. 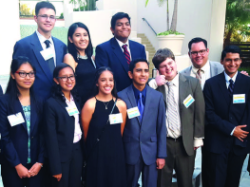 The Simon STEM Scholarship Program is a six-year process that begins during a student’s junior year while attending Orange High School and continues through four years at Chapman University. Each year, five students are selected based on their GPA and desire to pursue a career in a STEM (science, technology, engineering, and math) discipline. After graduating high school, scholars are awarded a full scholarship to the University, including room and board. 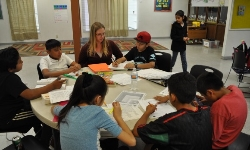 The Centro Comunitario de Educación is a pre-kindergarten through adult learning center run by the Chapman University Donna Ford Attallah College of Educational Studies. 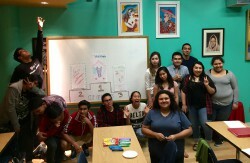 The purpose of the Center is to promote literacy and education for the Santa Ana community and its surroundings. 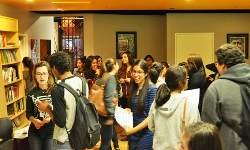 The Futuros Brillantes Teen Mentoring Program is a year-long program that pairs Chapman student mentors with Santa Ana high school students. Mentees explore career options and learn how to become a more effective leader, while obtaining emotional support from their mentors. Higher Ground is a nonprofit gang prevention program located in Anaheim that provides mentoring for youth and their families in at-risk communities. 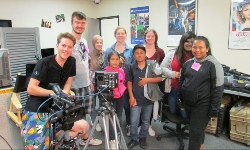 Undergraduates at the Dodge College of Film and Media Arts have the opportunity to guide young adults toward hope and self-esteem by assisting them in filming and editing their very own shows. Chapman professors teach workshops, highlighting post-secondary education, financial aid opportunities, and local issues that impact our community as a whole. Headquartered in the City of Orange, Friendly Center provides a variety of free programs for struggling families to get back on their feet. 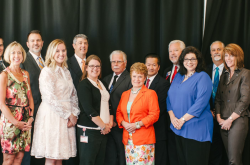 The University is proud to support this worthwhile organization through service on the organization’s board of directors and in-kind and financial support. Additionally, the University places about twenty work-study students as tutors at the Friendly Center each year. Chapman University is deeply committed to enriching diversity and inclusion through ongoing efforts to cultivate a welcoming community for students, faculty, staff, and neighbors. Presented by Musco Center for the Arts, these day-long celebrations salute a different country or part of the world that connects back to our surrounding region, to showcase both the traditional art forms and how those forms have evolved here in California. 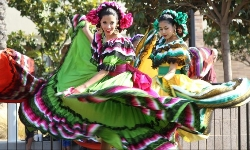 Past events have featured Mexico and Hawaiian music and culture. Admission is free and open to the public. 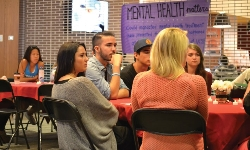 The Chapman Diversity Project endeavors to bring students, faculty, staff, and the community together for meaningful dialogue focusing on developing strategic priorities and recommendations for diversity and inclusion at the University. Advisory groups include those on disability, faith, people of color, LGBTQ+, and people of color, among others. 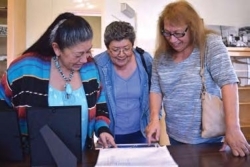 The Orange Barrio Historical Society (OBHS) is dedicated to preserving the history and culture of Orange’s Cypress Street Barrio and Chapman is thrilled to support their efforts. The Cypress Street School House, while serving as the University’s headquarters for the maternal-child health research program by day, moonlights as a meeting location and miniature museum for OBHS. 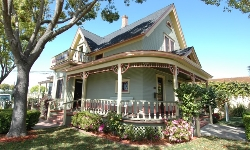 Old Towne Preservation Association (OTPA) was established to preserve, protect and enhance Old Towne Orange, the largest residential historic district in California. Chapman frequently collaborates with the organization to ensure that Chapman-owned homes are restored and renovated to historical standards. The University was also awarded OTPA’s Good Neighbor award in 2017 for the construction of the Musco Center of the Arts. Chapman University is proud to be active members in the Orange, Greater Irvine, Santa Ana and Newport Beach Chambers of Commerce. We also launched our first-ever Merchant’s Day event in 2017, which invited local businesses to campus in order to market their services to our students, faculty, and staff. Chapman’s Economic Science Institute, founded by Nobel Laureate Vernon L. Smith, hosts a series of free lectures and workshops on various aspects of economics for all community members with an interest in the topic. Established in 1979, the mission of the A. Gary Anderson Center for Economic Research is to engage in high-quality economic and business research while also disseminating this research to the local community. 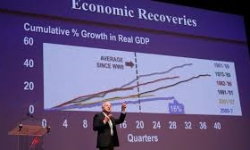 The Center also hosts Chapman’s well-known Economic Forecast in December and the Economic Forecast Update in June. Chapman University is committed to a culture that promotes a sustainable future. Through green-focused educational programs, research, and community engagement, Chapman encourages its students, faculty and staff to help preserve the planet. In partnership with the Public Works department of the county government, the OC Watershed Education Ambassador program engages Chapman undergraduates in environmental education within our surrounding communities. Students develop presentations for 5th graders on preventing water pollution, and they are then facilitated in local after-school programs and elementary schools. Roots Native Habitat Restoration works to restore the habitat and wildlife in the Upper Newport Bay area, one of the few remaining wetlands in California. Chapman students have the opportunity to work alongside community members and get hands-on experience in improving ecosystem dynamics. 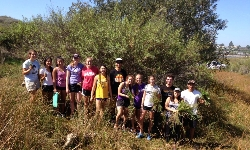 Volunteers assist with invasive plant removal, watering native plants, seed collection, propagation, and planting. 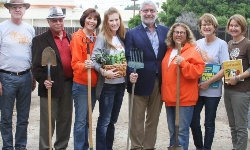 With a unique collaboration between the University and the non-profit community group Orange Home Grown (OHG), the OHG Education Farm opened in May 2016, at 356 N. Lemon St. and teaches the value and know-how of producing locally grown food. Chapman supports the farm and weekly Farmer’s & Artisans Market by providing the spaces to OHG, including restroom facilities, completely free of charge. The University has partnered with the O.C. 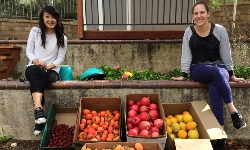 Food Access Coalition to harvest excess fruit from Chapman-owned rental properties throughout Old Towne. All produce is donated to Friendly Center and Mary’s Kitchen, just a few miles from our campus. Chapman students canvas the streets surrounding the University campus Thursday – Sunday to pick up and dispose of litter left behind by visitors over the weekend. 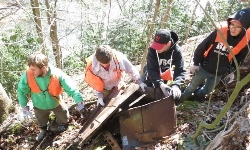 Approximately 23,000 pieces of trash are picked up each year by Chapman students in Old Towne. 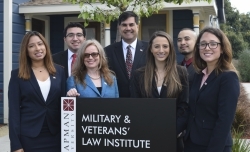 The Military and Veterans Law Institute provides legal assistance to veterans, active duty military and their families. The Alona Cortese Elder Law Clinic provides legal assistance to senior citizens. The Bette and Wylie Aitken Family Protection Clinic provides immigration and family law assistance for victims of domestic violence. Finally, the Tax Law Clinic provides legal aid for disadvantaged taxpayers who otherwise could not afford representation. 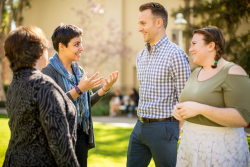 The Frances Smith Center for Individual and Family Therapy (also known as the Chapman University Community Clinic) offers counseling for the community on a sliding scale from $15 - $60 per session, based on the gross income of the family. Therapists are MFT trainees under the direct supervision of licensed clinical faculty.